If you enjoy decorating with candles, finding cheap votive candle holders can help you add a decorative touch to every room in your home without breaking the bank. Votives are small and economical, and there are attractive candle holders to match any type of interior design or personal decor tastes. Plain glass votive candle holders are the least expensive option and often cost less than $1 each. They can be purchased in bulk from many candle and craft supply stores, and these small, simple votive holders are great to add to centerpieces for extra flair. Even plain votive holders come in a range of different shapes. Round holders can be straight sided or flared, and square and triangular holders are also popular. You can even find animal-shaped cheap votive candle holders like bird holder pictured here. Add a burst of color to any room by choosing cheap holders for votive candles in different colors. Jewel tone colors are bold and sassy, and several different colors can be combined for a festive rainbow effect or you might choose one color for a chic design statement on a small budget. There are many inexpensive centerpieces designed for votive candles. Circle or basket styles are popular, as are tiered holders in straight or wave shapes. These centerpieces can easily be augmented with other decorations for a rich and luxurious look without an expensive price. A rustic "picket fence" votive candle holder is a great option for autumn decorations or a homey design. Other rustic options include faux baskets, tiny terra cotta pots, and similar candle holder shapes that evoke a simple lifestyle. Elevated votive candle holders decorated with dangling beads or crystals can be an elegant option for special occasions such as holidays, parties, and weddings. At less than $20 for a pair of votive holders, this type of design is easily affordable. 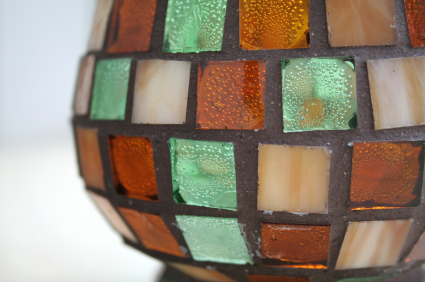 Mosaic candle holders are popular because of the intricate reflections the holder casts when its candle is lit. The more elaborate the mosaic the more expensive it will be, but there are many affordable options available that are lovely and stylish. A lotus flower design is a popular option for cheap votive candle holders. Crystal or metal holders like the one pictured here are common options, and they make stunning and attractive additions to your decor. A plain globe votive candle holder is one of the most versatile and least expensive options. Fill the base of these holders with materials such as fine gravel, birdseed, sand, glass pebbles, or glitter for different looks for different occasions. Votive candle wall sconces doen't have to be expensive. Popular designs include leaves, butterflies, and scrolls, but bear in mind that elaborate sconces that hold a larger number of candles will be more costly. There are a variety of inexpensive votive candle holders available in holiday motifs. For Halloween, witches, ghosts or skeletons are popular. For Christmas you might see snowflakes, noel, reindeer, and Santa. No matter the holiday, there is a design to choose from. Once you've found the votive candle holders that fit your budget, consider buying the candles themselves in bulk for extra savings. Scented or unscented candles are available, and there is no reason why candles can't be part of the decor in every room of your home.